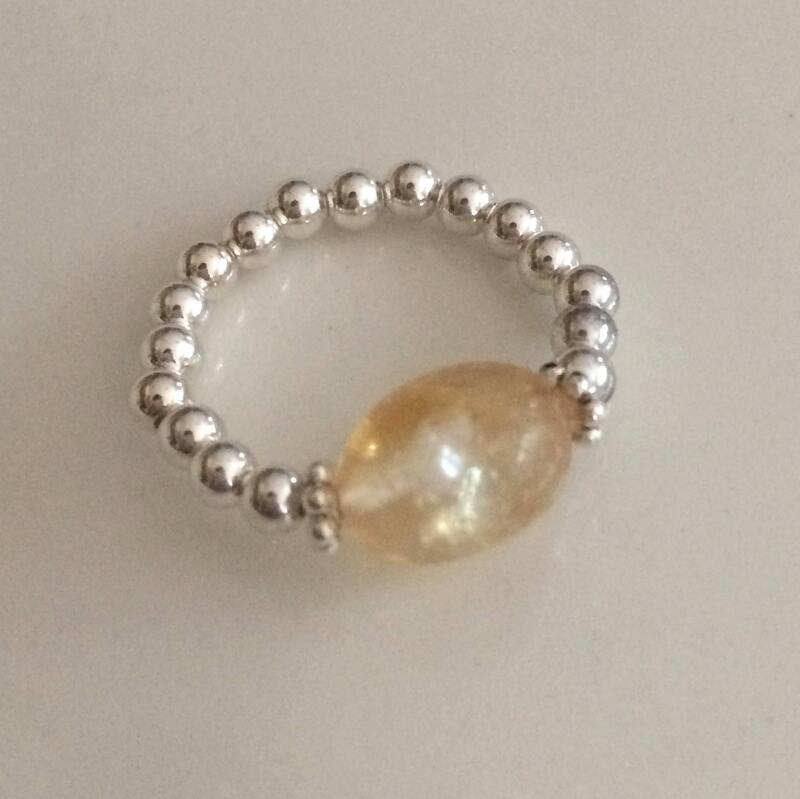 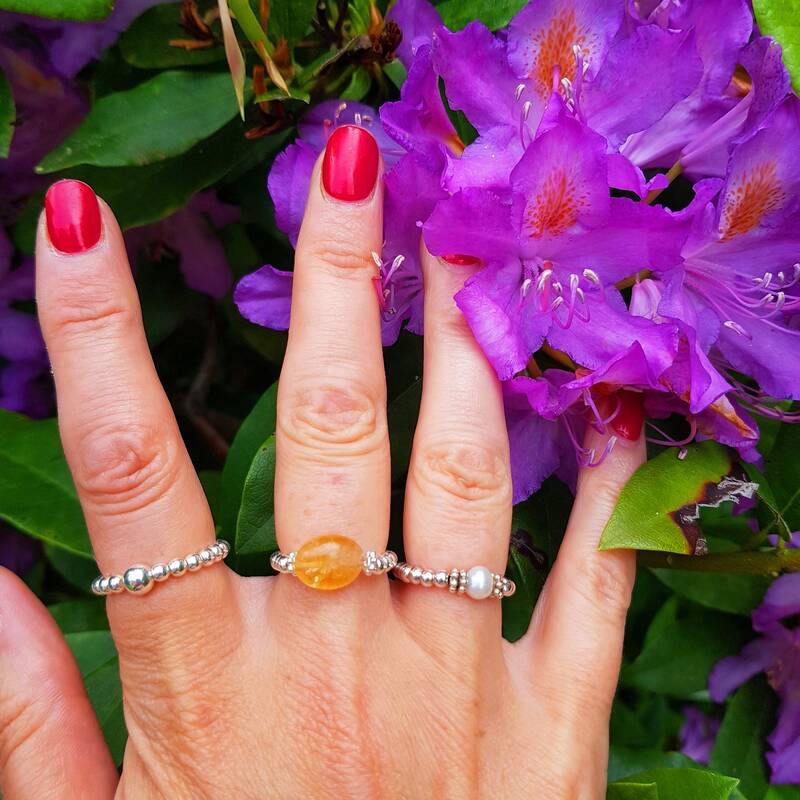 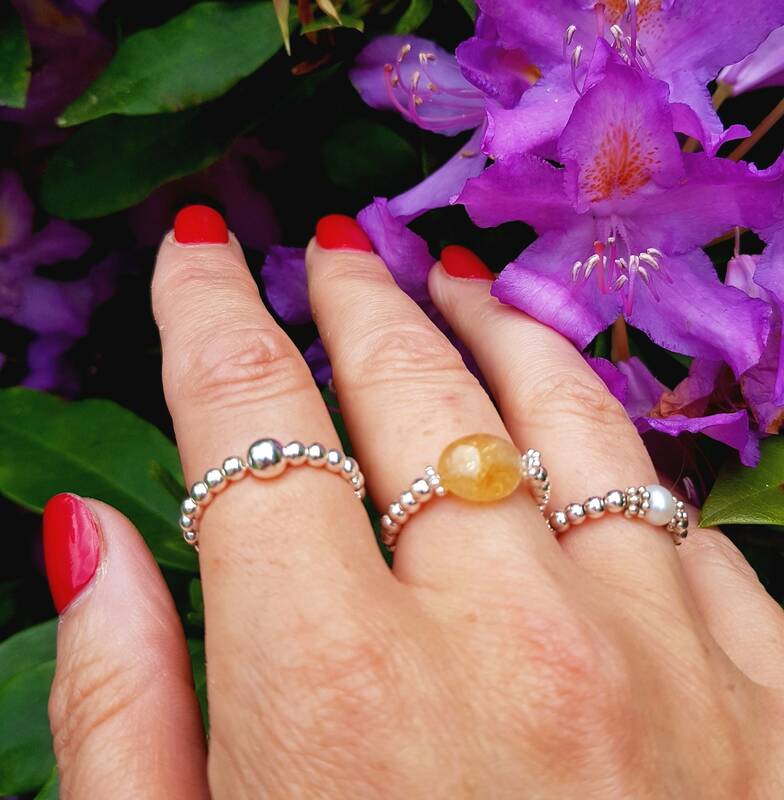 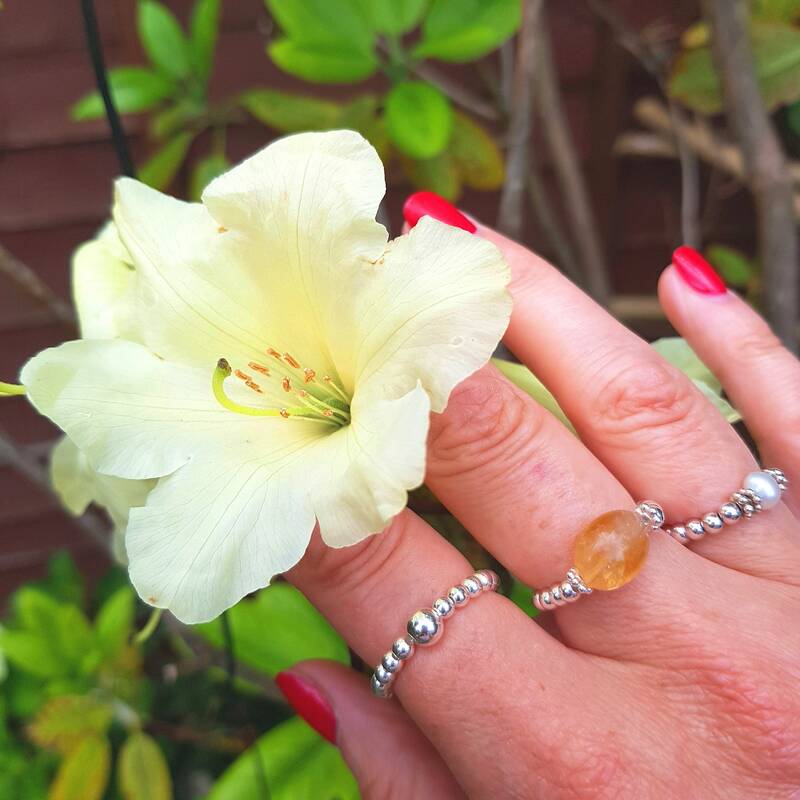 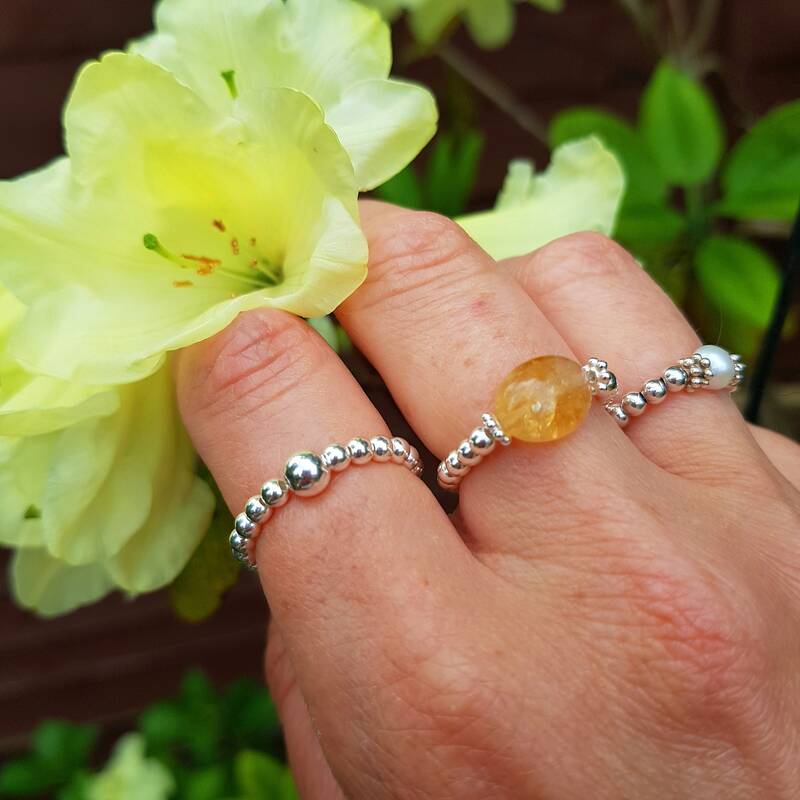 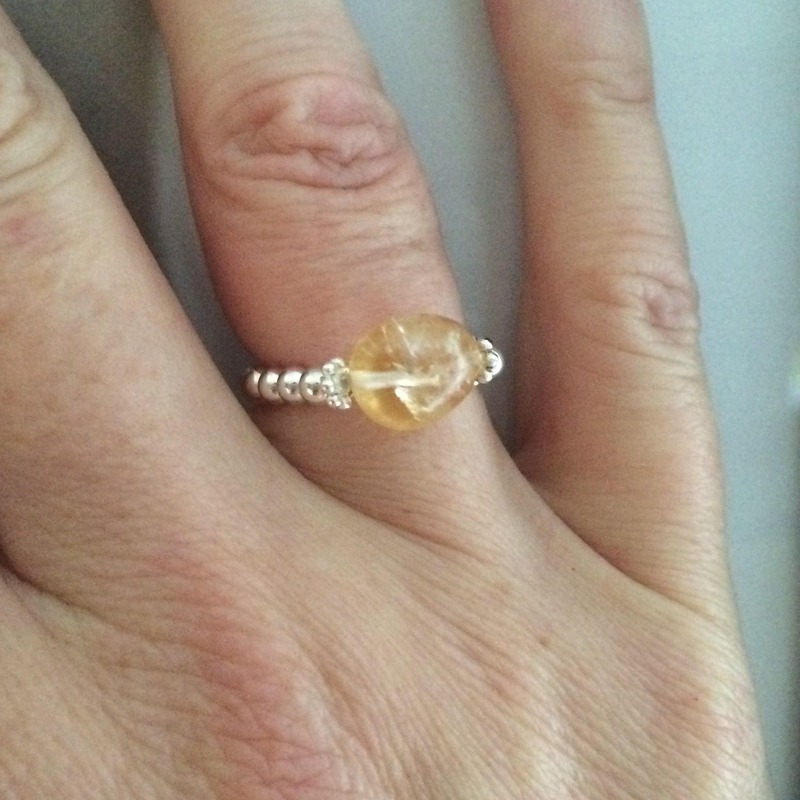 a Beautiful genuine Citrine nugget oval polished gemstone bead nestled between 2 daisy Sterling Silver Flower spacers and 3mm Sterling Silver beads on stretch wire. 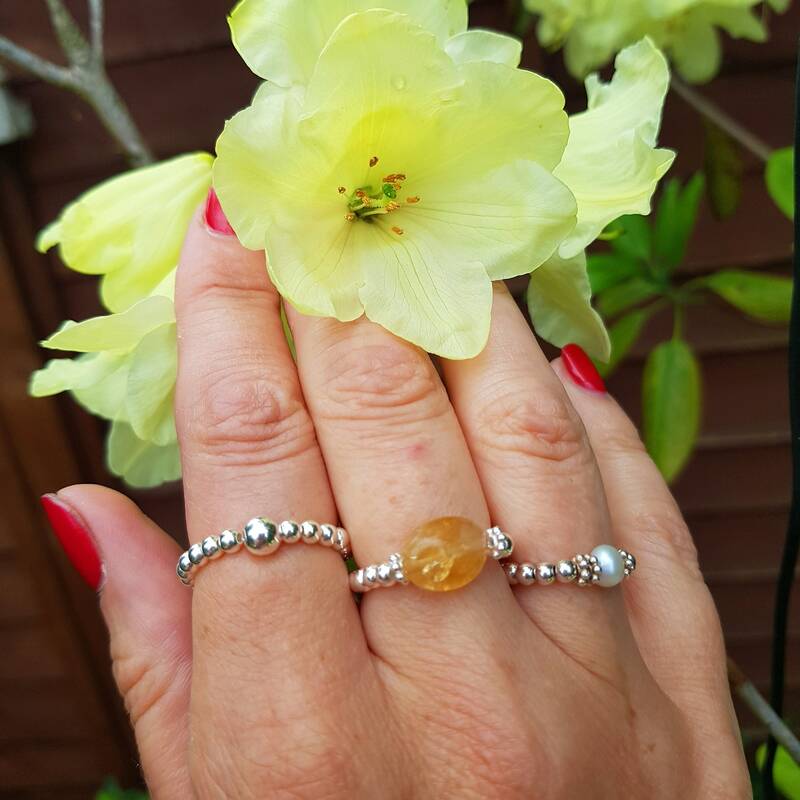 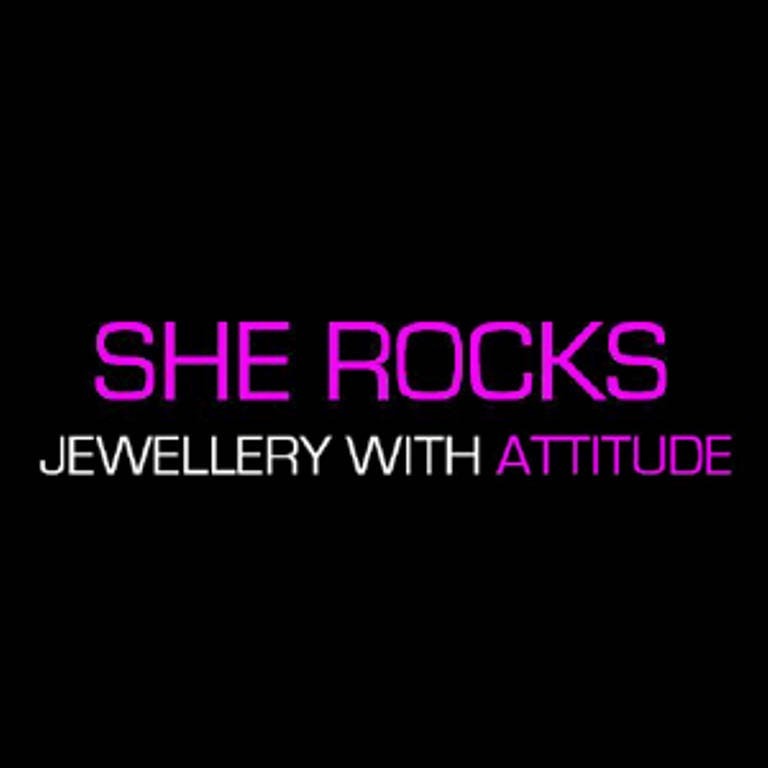 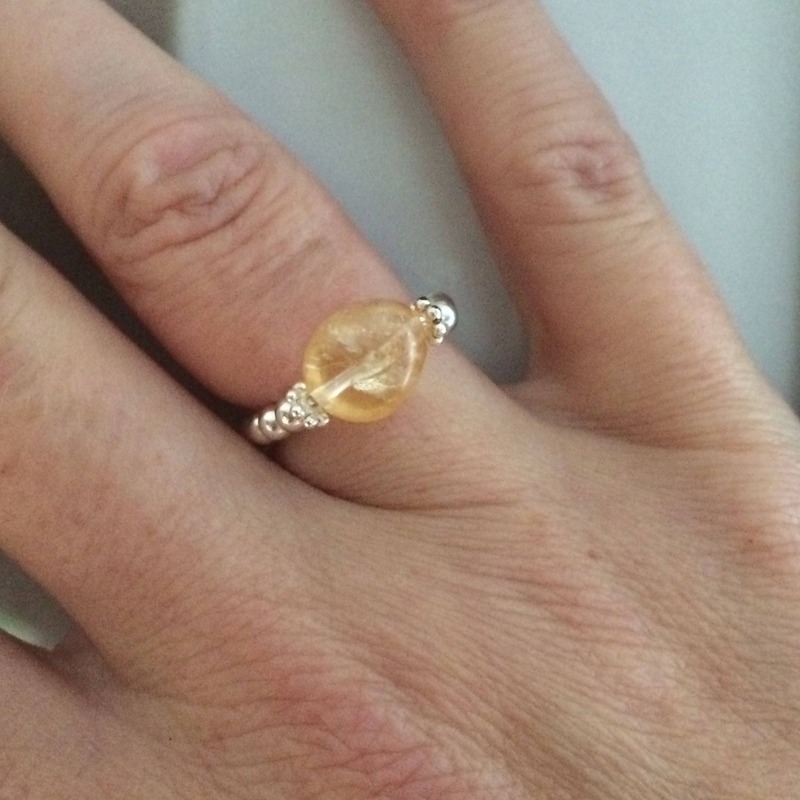 Please measure the circumference of where you want to wear the ring before picking your size as they are made to order and make your choice above please. 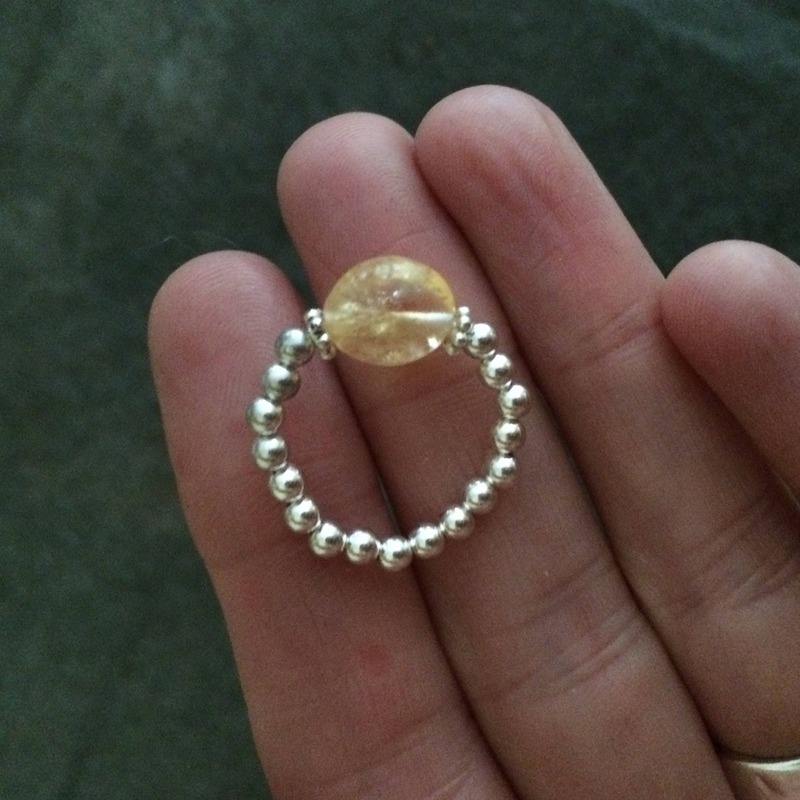 This ring comes in a gift pouch.